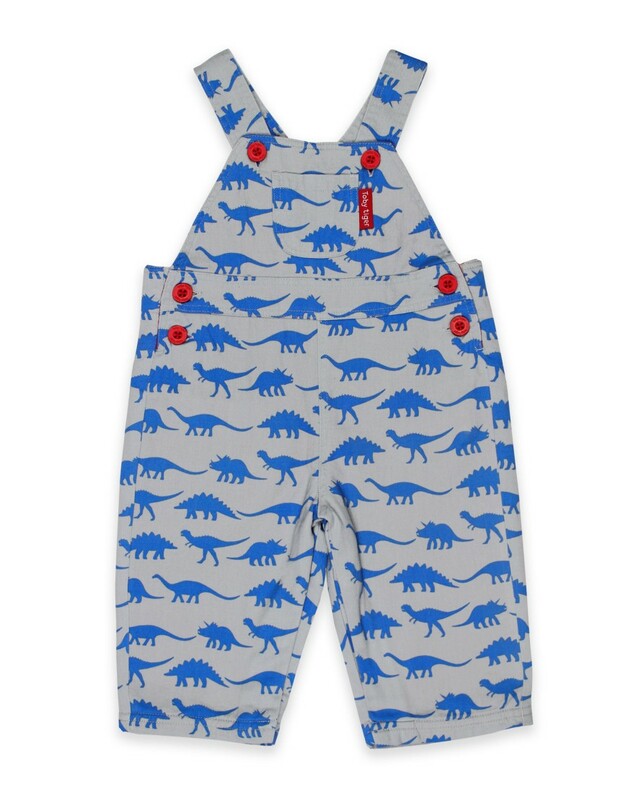 These comfy cotton dungarees are covered in some of our favourite dinosaur friends. Can you name them all? 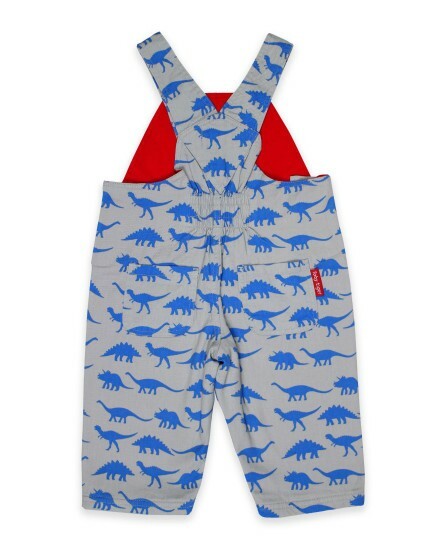 Poppers underneath make for easy nappy changing and the height adjustable straps ensure your tot will be able to love wearing them for as long as possible. Finished with bright red buttons and a pocket detail - and they look extra cute when rolled up at the bottom to reveal the contrasting red turn ups! Just pair with one of our long sleeved organic cotton t-shirts to make a perfect winter outfit!